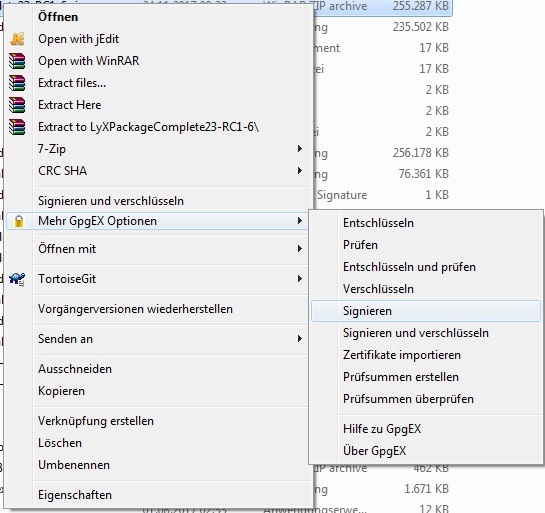 I updated to GPG4Win 3.0.1. 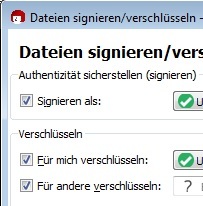 But if I wanted sign and encrypt I would have chosen the corresponding menu but I explicitly selected to sign only. 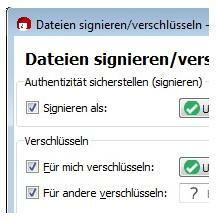 By the way: The correct German translation would be "Mehr GpgEx-Optionen" (with the hyphen). uwestoehr created this object in space S1 Public. uwestoehr added projects: Bug Report, gpg4win.